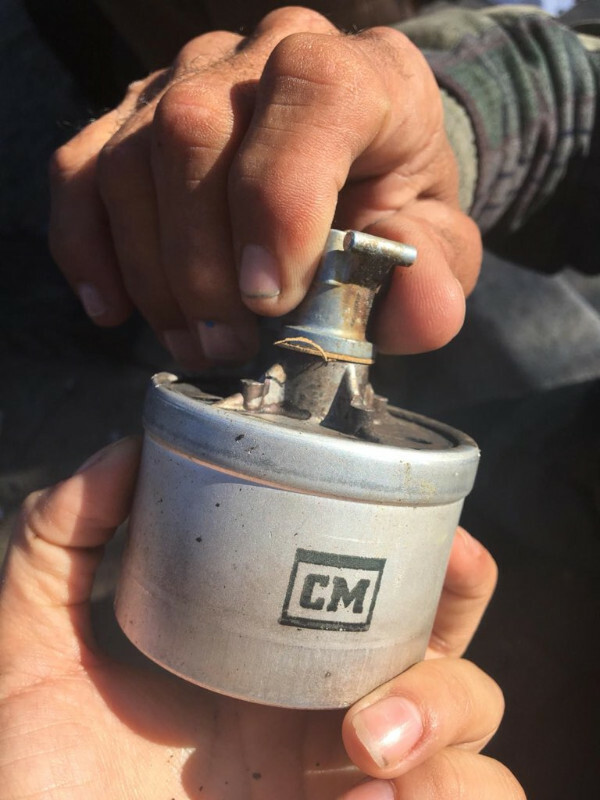 On the 25th of November, @CosechaMovement reported that a young girl took a direct hit from a tear gas canister fired by US law enforcement or military at migrants seeking asylum at the Tijuana border crossing. As of this reporting her condition is unknown. 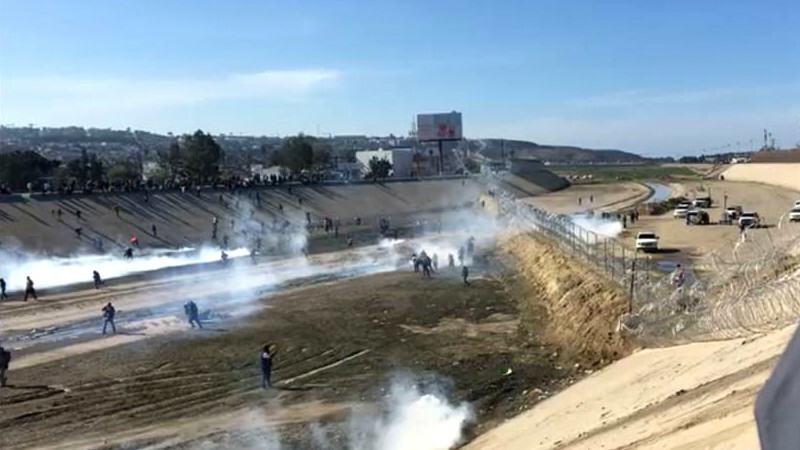 US forces (police or military) have fired both tear gas canisters and an LRAD sound cannon at migrants. Donald Trump's response was to temporarily shut down this border crossing point, and he has threatened in the past to fire not only tear gas but live ammnuntion ("lethal force") at migrants. The hatred and violence of racist Donald Trump has now wounded a young girl because Donald Trump only wants white immigrants (he said Norway) to cross the illegitimate, settler-drawn borders of the so-called "United States." It has been clear from the start that Donald Trump's "MAGA" slogan really means "Make AmeriKKKa White Again" and his is willing to use force and deadly violence to put this policy into effect. 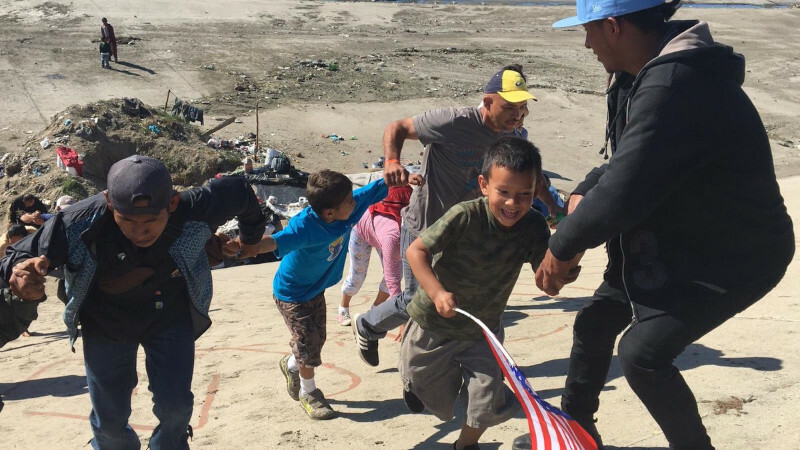 The migrant caravans that have slowly crossed Mexico on foot from Central America have been selected as an "other" for Trump and the US government to target, presumably to "fire up the GOP base" first for the Nov 2018 election and now to keep Trump's white male base of support engaged. This is a classic tactic of fascist regimes from their very origin in 1920's/1930's Europe. Fascist regimes gassing people they didn't like was one of the ugliest of all parts of the 20th Century.